Ever wondered why bananas are one of the most popular fruits out there? It’s rare to go into a supermarket’s fruit section and not see a display dedicated specifically to them. This is because not only are they delicious, but they’re also extremely healthy while being one of the many fiber rich fruits out there. Anemia: Thanks to bananas’ iron content; they are able to stimulate the production of hemoglobin in your blood, which is incredibly helpful to those with iron-deficiency anemia. This is preferable to taking large doses of iron supplements regularly. Blood Pressure: The fact that bananas are high in potassium while low in salt make them great for dealing with blood pressure issues. Because they are so efficient at this, the FDA has approved these claims so that producers of bananas can officially market their product using this information! Constipation: Why take laxatives when you can eat a fruit that has a high fiber content? Bowel problems don’t stand a chance when you involve bananas in your diet. Hangovers: In combination with honey, bananas can be made into a milkshake that soothes the stomach, builds up blood sugar levels (which are often depleted as a result of drinking), and re-hydrates you after a rough night. Heartburn: Bananas are natural antacids so you can eat some when heartburn becomes a real problem. Morning Sickness: Keeping blood sugar levels up reduces morning sickness while supplying nutrients to you and your baby. Mosquito Bites: You can rub the inside of a banana peel against your mosquito bites to reduce swelling and irritation. Banana peels are usually thrown away, so this is a good way to get some use out of them so you don’t have to buy special lotions for your insect bites. Ulcers: Bananas are able to neutralize the acids in your stomach, which is particularly helpful when dealing with ulcers. Other fruits are so acidic that they tend to make the problem worse. 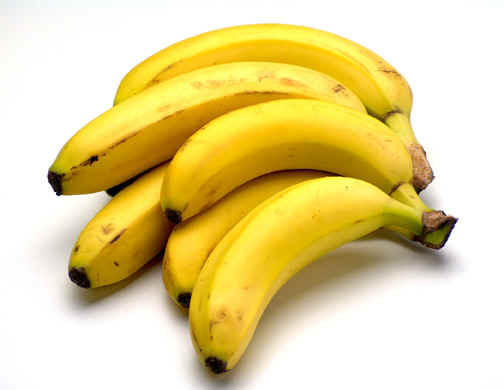 Eating bananas can actually reduce irritation because they coat the lining of your stomach while neutralizing it. Temperature Control: Cultures around the world have relied on bananas to reduce body temperature in expectant mothers. Smoking: Bananas, due to their vitamins B6 and B12 and minerals potassium and magnesium, help the body when dealing with nicotine withdrawal, which can have rather unpleasant effects on smokers who are trying to quit. Strokes: The New England Journal of Medicine has published studies saying that eating bananas regularly reduces your chance of stroke by a whopping 40%. Warts: The inside of a banana peel, when placed on a wart and taped there for a while, can help to get rid of pesky warts. This beats using the freezing or drying out methods of most medications. Bananas also do a lot of good for your mental health. The tryptophan in bananas can make sufferers of depression feel better, as well as those with Seasonal Affective Disorder. Daily intake of bananas increases brain power, while the high vitamin B content of them reduces anxiety. People who are stressed tend to deal with a drop in potassium. This can be remedied by eating more bananas because they are high in the mineral. When you look at bananas’ nutrition data, it’s hard not to consider them a superfruit! Thinking about cooking with one? You can always check out www.antioxidant-fruits.com’s Fruit Recipe Page to find unique recipes of specific fruits found on this site. how much banana we need to consume everyday?